Bonobos is not the only one with a super stretchy, super comfortable, jean-like pant. In fact, Banana Republic’s is even named similarly. To be honest, I am not quite sure who was first to market here, but both brands’ traveler pants are beloved by many guys. BR actually has quite an extensive line now of stretch denim and pants (like their Rapid Movement chinos), though seemingly the most famous and most well-liked blend — striking that perfect balance between a full stretch and a standard feel — is their “Traveler” line. 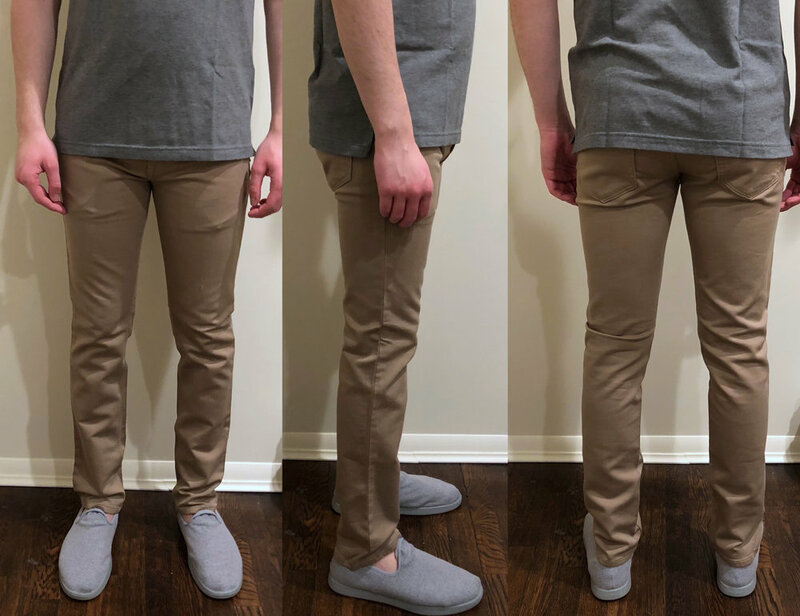 They have both Traveler Jeans as well as the Traveler Pant ($98.50), which is what we’re taking a look at in this review. See here for full and exact measurements as well as comparisons.